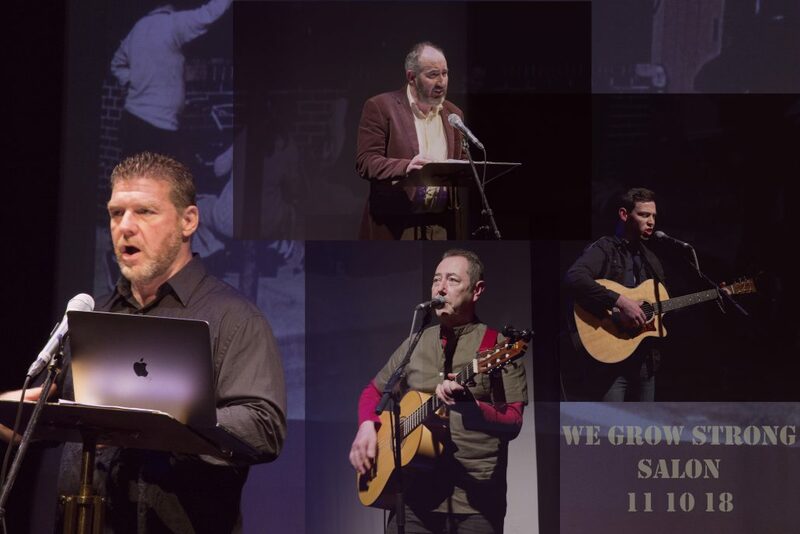 We Grow Strong is delivered with North Leitrim Men’s Group (based in the Bee Centre, Manorhamilton) and the Men’s network across the rural hinterland of north Leitrim and Fermanagh (engaging Enniskillen Mens Shed, Lisnaskea, Belcoo Mens Sheds and other Men’s groups). The programme seeks to bring men together and support men to be more directive in their own lives – by providing opportunities to develop one’s own voice through transformational sharing of personal stories, and workshops/training in image making, photography/video. Participants will have the opportunity to work with a number of facilitators. One of the facilitators we are delighted to have support this programme is Michael Patrick MacDonald. As writer -in residence at The Glens Centre, Michael Patrick will work with men on life storytelling. Michael Patrick McDonald is an experience activist and facilitator who has developed his own transformative storytelling curriculum ‘The Rest of the Story’. Having worked with various groups in Boston with various life experiences including those who have experienced and suffered trauma, his approach is one which supports the development of positive empowerment and positive mental health. 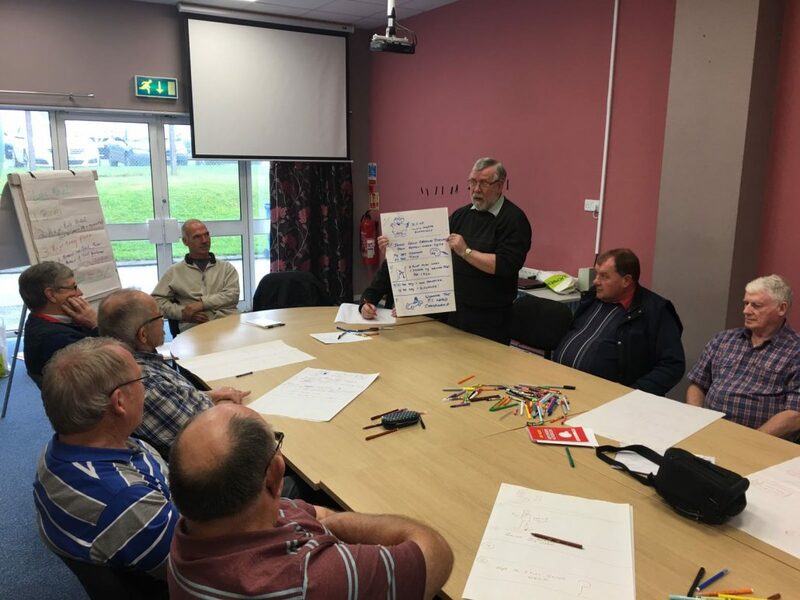 Yr1.Transormative storytelling underway – with NLMG and Enniskillen mens Shed, led by Michael Patrick MacDonald.